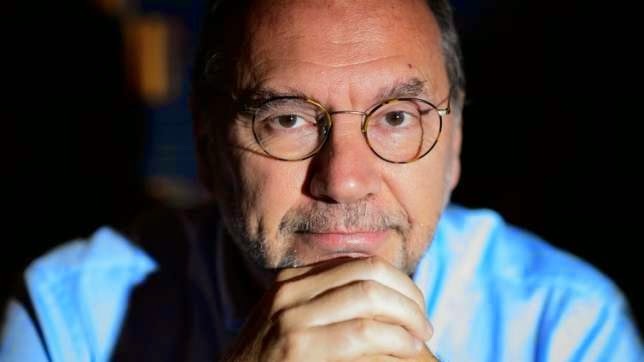 Dr. Peter Piot discovered and named the Ebola virus after an infected woman’s blood was handed to him in 1976. The woman was a Belgian nun who worked in Zaire, now known as the Democratic Republic of the Congo, where the first case of the disease was recorded. Piot is now one of the world's leading infectious diseases experts and he opened up to Vox America’s Julia Belluz on the current Ebola outbreak and why it has gotten out of control. Julia Belluz: You've been working on Ebola since you co-discovered the virus in 1976. For nearly 40 years, this disease has largely been ignored by the international community except for brief flashes of interest, mostly spurred by Hollywood. Now we are seeing unprecedented attention and political galvanization around Ebola. What changed? Peter Piot: In the 38 years since 1976 until this current outbreak, there have been something like 1,500 people who died in total. So that's less than 50 deaths per year. Up to now, it was not a real public health problem. This year, nearly 3,000 have died. All 24 previous outbreaks were both time and place limited to very confined communities. Even in the worst case, Ebola would kill 300 people. Here it has involved entire countries, and it has been going on for over nine months now. JB: But the death toll was rising rapidly for months before the international community responded. What do you think finally sparked collective action? PP: It was the Americans getting Ebola, I'm afraid. Beyond that, I don't know what changed it, really. Early in the second or third week of July, I gave an interview with CNN and I said this crisis requires a state of emergency and a quasi-military operation. After the interview, I thought maybe I exaggerated. But I felt that it was really getting out of hand and it looked like a completely different type of Ebola outbreak than we'd seen before. Then it took another month, so I really don't know. JB: Before this year, could you have imagined an Ebola outbreak of this size? PP: I never thought it would get this big. I always thought it was an accident of history where someone becomes infected — from a bat probably — and then an outbreak is contained. Ebola came and went. I really never thought this could happen. But it shows again: when the right, or bad conditions are all combined with each other, then these things will happen again. JB: We've seen a surge in the number of deaths now for weeks with no sign that the virus is slowing down. Why do you think this outbreak spun so far out of control? PP: I think this is a result of a perfect storm of a lack of trust in authorities, in western medicine, dysfunctional health services, a belief in witchcraft as cause of disease and not viruses, traditional funeral rites, and a very slow response both nationally and internationally. The longer we wait, the longer there is an insufficient response, the worse it will get, the more difficult it will be to control this epidemic through quarantine and isolation and all the methods that worked in the past. JB: Most of what you point out here has to do with things that we had no control over — an accident of geography, local beliefs. Can you point to a place where the ball was dropped in this Ebola response, something that should have been done to minimize the suffering in West Africa? PP: It took more than three months to diagnosis the epidemic. The first case was in December and then they only diagnosed that it was Ebola in March. But then it took far too long before the international community did anything. That goes from the WHO, to the US, and UK governments. It took 1,000 deaths before a public health emergency was declared by the WHO, and cynically it took two American doctors to become infected. I think that's where particularly the local office of the WHO was inadequate, that's for sure. But it's not just WHO. It's the member states of the WHO, the ones who decide about the budget at the WHO. JB: What do you think will be the lessons learned from this epidemic? PP: This outbreak has highlighted the fact that we need to make sure we are far better equipped for epidemics in general. There will be others. But the good news is also that experimental therapies and vaccines for Ebola are now being tested for their efficacy so I think that's positive. For the next outbreak, we should have stockpiles of vaccines and therapies.